In litter under trees in dry woodlands and mallee scrub. 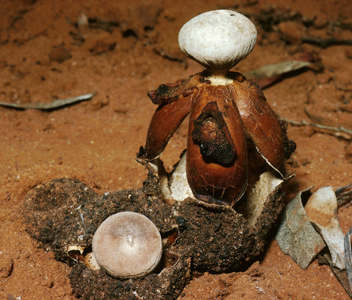 This tall earthstar is distinguished by an arched circle of rays supported on a sand-encrusted basal cup. At the apex of the arched rays is a stalked, round spore sac with a simple pore-like mouth. 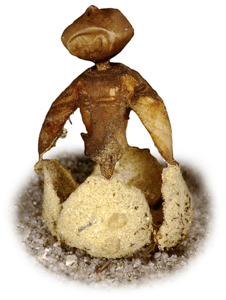 This species is not hygroscopic.